CATHOLIC GIFT SHOP LTD - Our Lady of the Miraculous Medal Novena Booklet. Our Lady of the Miraculous Medal Novena Booklet. 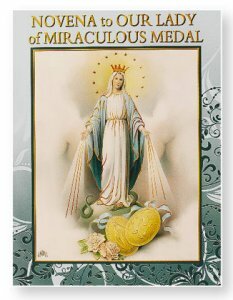 Colour illustrated novena booklet of our lady the Miraculous Medal. Paperback book measuring 4" x 5 1/2" with 12 pages.